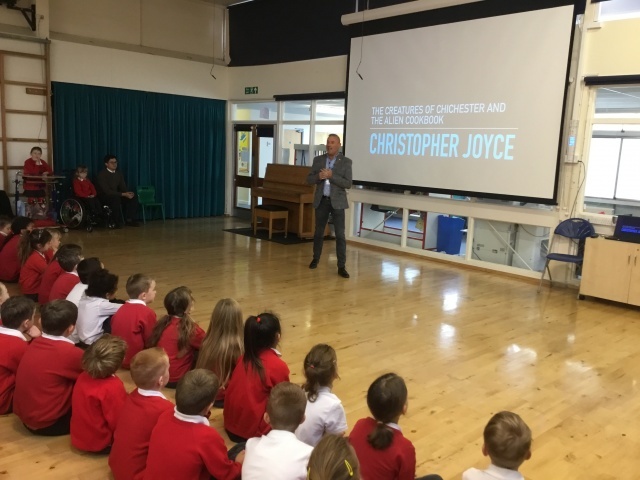 Last week we were lucky enough to have a visit from local author, Christopher Joyce. 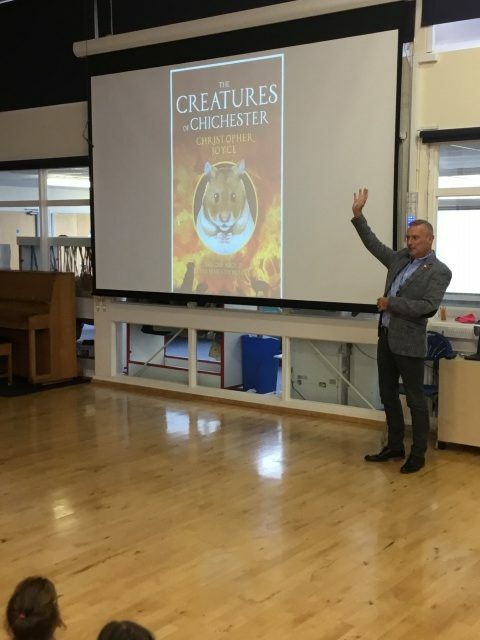 After an exciting assembly; hearing about how Christopher crafted his story series, ‘The Creatures of Chichester’; the children from years 4, 5 and 6 took part in different workshop sessions to help develop their writing skills. Since the visit, all the children in Key Stage two have been busy planning and writing their competition entries for the Novium Writing Competition: ‘My Park Adventure’, which has been launched to celebrate the centenary of Priory Park. All writing is taking place in lesson time, but please remember to return your signed consent form to the office by Monday 19th November, if you would like your child’s writing to be entered!